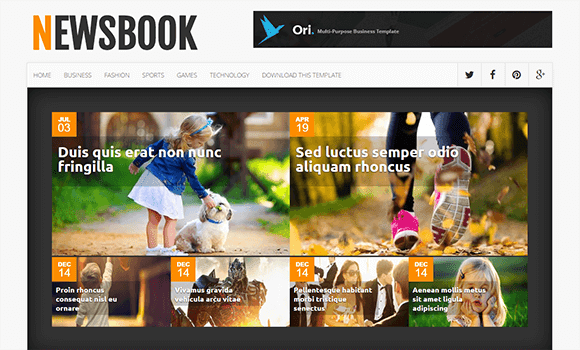 NewsBook is a light & clean blog theme, focused on showcase your content in an effortlessly style with popular features such as amazing customizable homepage sliders, sidebars and Instagram areas. Newsbook is equipped with various of widgets which will help you to publish your blog more professionally. To make it easy for you we have published this detailed documentation, so that you can setup your blog correctly. You have made a good decision by choosing our template. You can check the live demo or download the template through the button below and also Please Read this documentation carefully in order to set up your blog and please note that there’s no support for free users. (Menu) Find this Code inside the the template xml. (Social) Find this Code inside the the template xml. (Featured) Find this Code inside the the template xml. Replace featured with your desired label. Note:- Labels are case sensitive. Recent Post works automatically with latest posts. But you have to make sure about few things. (Footer menu) Find this Code inside the the template xml. Find this Code inside the the template xml. Change the value of perPage: 6, to any number you want.